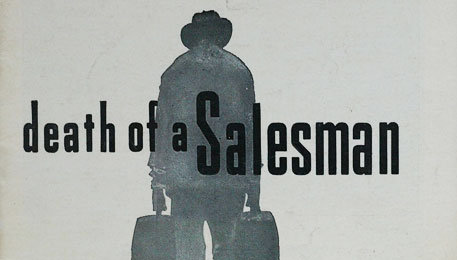 Death of a Salesman, by Arthur Miller – ruru's ruminations. The flaw, or crack in character, is really nothing – and need be nothing – but his inherent unwillingness to remain passive in the face of what he conceives to be a challenge to his dignity, his image of his rightful status. – Arthur Miller, Tragedy of the Common Man. I have fallen in love with Arthur Miller’s writing. There’s no doubt about it. We’ve been studying All My Sons for quite a few weeks now, so when my mom saw my raving post she dropped me a copy of Death of a Salesman. Over the past few nights [this post was written three weeks ago], I’d climb onto my hanging chair bleary-eyed, plop down my laptop in my lap, and languorously scroll through the pages of this tragic play. At this stage, Willy faces an internal struggle- he has done precisely what he didn’t want to do in life and failed to achieve anything for the people he loved. He finally realizes his true capacity: the money claimed from insurance in death. In the end, he sells himself. 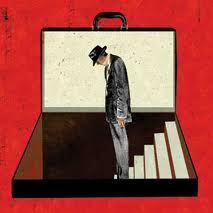 Truly, a Death of a Salesman. Such metaphorical wonders lie hidden, encapsulated in simple, unassuming phrases. That’s what I love about Miller’s writing- his straightforward, effortlessly unpretentious words weave together to create intense layers of meaning and provoking messages. The perspicacity of Miller’s remarks strike at the core of what it means to be human; what it means to be a common man- fighting for life, fighting for love, fighting for a place in the world. And it is his simple way that touches us. That hurts us. That hands us the tools to rip the fabric of our human constructs apart. Each one of his characters resonate with us in one way or another- in the way Chris of All My Sons achingly elucidated my own flaws, Biff reminds me sorely of my own compulsion to seek the truth in a convoluted world. I have an inherent flaw. I think too much of things. I take things too seriously- but it is in this solemn contemplation and introspection that I see the striking similarities between worlds held in literature and my own subjective, scaled-down, dog-eyed view of the world. Perhaps it is foolish to take literature so seriously- after all there are so many more real, pressing problems out there to lose sleep over and to dribble tears on. But then again, isn’t that the beauty of literature? The beauty of the harsh Ibsen realism that lies in Miller’s plays? The depiction of social reality. It is only tragic and sad because that is how we have shaped it; how we have shaped our social reality. And so, it must change. Things do change; is that not what keeps us going?